PRODUCT DESCRIPTION: Contains 61.6% active ingredient. 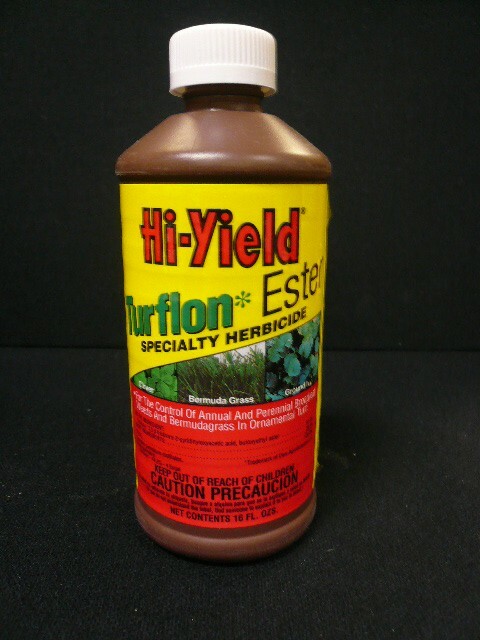 A post emergence herbicide for control of Bermuda grass, Kikuyu grass and broadleaf weeds in cool season grass (Fescue). 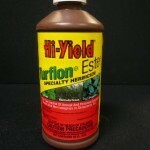 Turflon Ester will control Oxalis, Ground Ivy, Wild Violet, Clover and many other broadleaf weeds. RATE OF APPLICATION: One pint covers up to 32,000 sq. ft. For use on cool season turf only.